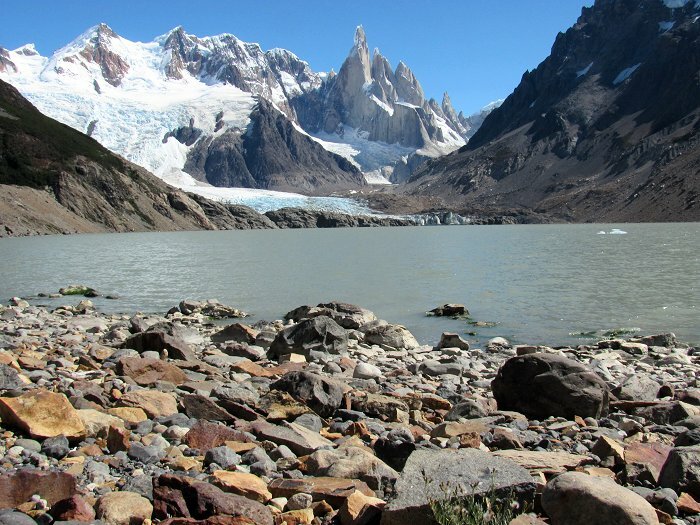 On the shores of Laguna Torre. The Glaciar Grande ("Big Glacier") descends to the lake from the Cordon Adela (left). 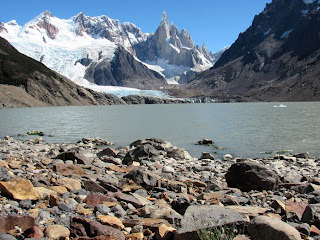 Cerro Torre rises in the center of the picture.